Komatsu’s FrontRunner AHS allows unmanned operation of ultra-class mining trucks and is critical to the mining industry. FrontRunner delivers significant benefits, including reduced worker exposure to harm, protocols designed to constantly improve mine-site safety, reduced operating costs, and increased productivity and efficiency. The company completed a year-long qualification program at the company’s proving grounds in Tucson, Arizona, conducting extensive testing of the FrontRunner AHS on Nokia’s Future X infrastructure, a leading provider of private LTE communication solutions for the mining industry. Mining operators demand wireless networks with high-availability, seamless mobility, world class Quality of Service (QoS), and the ability to support multiple applications and services simultaneously. Accordingly, the industry is moving away from less predictable wireless technologies such as Wi-Fi, and towards private LTE networks, that improve security, capacity, and overall performance within a multi-application environment. Komatsu pioneered the first AHS for the mining industry with a commercial deployment in 2008 at CODELCO’s Gabriela Mistral (Gaby) copper mine in Chile. Komatsu’s ongoing commitment to accelerate the pace of AHS adoption and innovation is reflected in the company’s other recent milestone – supporting customers to move two billion tons of surface material in the copper, iron ore, and oil sands industries autonomously. 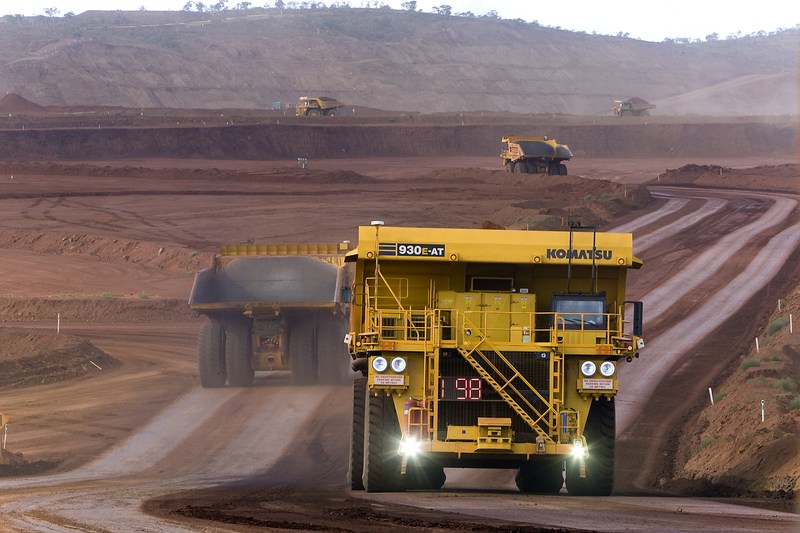 Komatsu also continues to pursue a long-term strategy to standardize interoperability of mixed fleet autonomous vehicles to maximize efficiency and safety at mine sites worldwide.